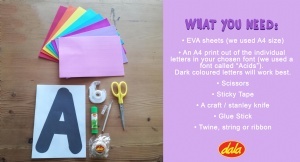 In this tutorial we show you how to create a quick and easy cut out banner using EVA in 5 easy steps. Our banner is for Easter but you can adapt and use this method for any occasion. 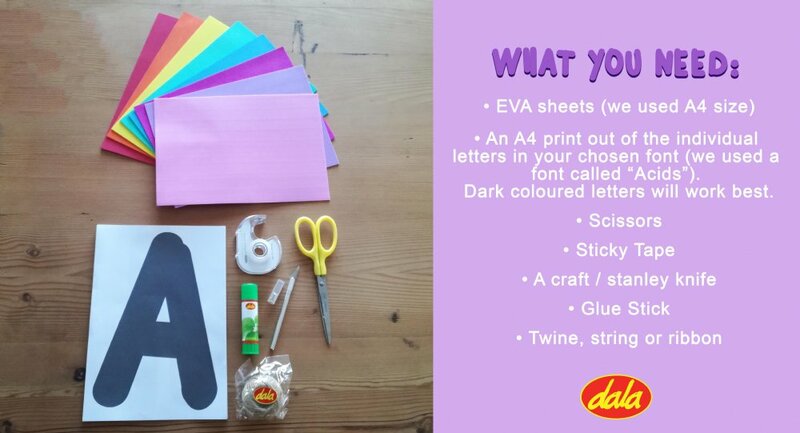 • An A4 print out of the individual letters in your chosen font (we used a font called “Acids”). For best results print your letters out in black. Glue each lettered page to a different EVA sheet, with the blank side up or facing you. This willensure that your banner reads correctly from left to right once assembled. 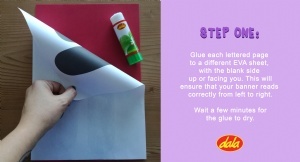 You should still be able to see the print the other side of the page to guide your cutting. If you cant see the outlines properly you can trace them, EVA side up and this will then be your guide. 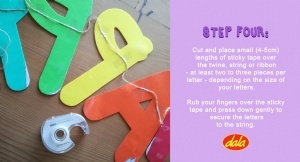 Cut out each of the letters, asneatly as possible using the scissors. For the more tricky bits, such as holes in the letters. Remove the paper that was glued to the back as this will aid the letters to stick better to the twine, string or ribbon. 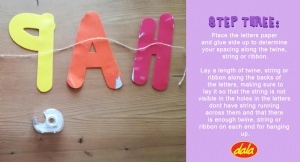 Place the letters paper and glue side up to determine your spacing along the twine, string or ribbon. visible in the holes in the letters dont have string running across them and that there is enough twine, string or ribbon on each end for hanging up. Cut and place small (4-5cm) lengths of sticky tape over the twine, string or ribbon- at least two to three pieces per letter - depending on the size of your letters. 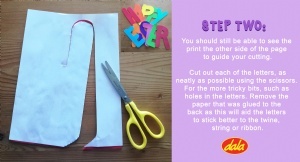 Rub your fingers over the sticky tape and press down gently to secure the lettersto the string. 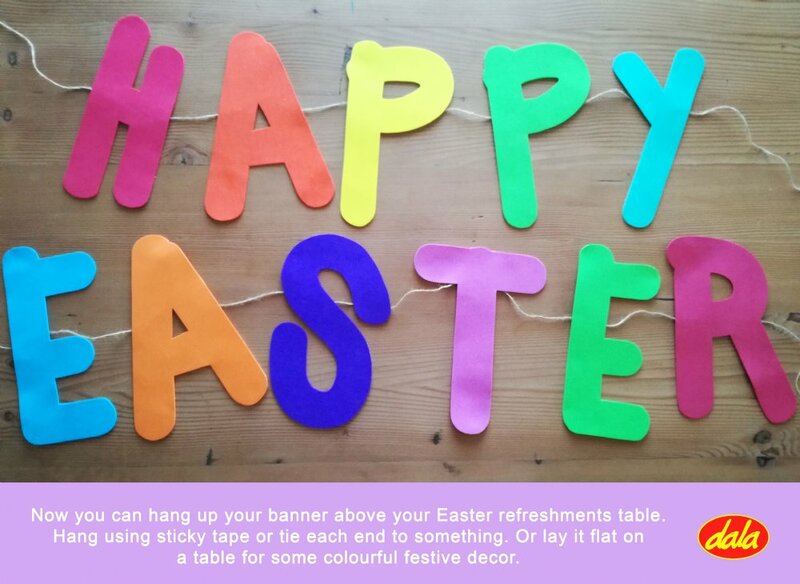 Now you can hang up your banner above your Easter refreshments table. Hang using sticky tape or tie each end to something. 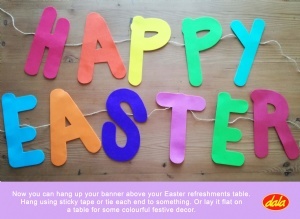 Or lay it flat on a table for some colourful festive decor. This item has 446 views.